As I mentioned below, Etsy is having a YART (Yard + Art) Sale until June 20. There are some great bargains to be had! Friday night after I put up my own YART SALE, I went looking for a small Amy Butler handbag (my others are pretty large). I found a new to me seller, Hello Me Designs, having a YART Sale with a cute mini bag. It's actually versatile and roomy for a small bag. I ordered Friday night and it was here by 10am Monday! Now that is fast. The workmanship is very nice and quite professional. 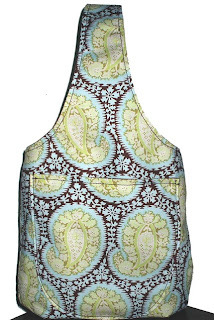 I adore the colors in the Amy Butler fabric on this bag: aqua, chocolate and lime. Really nice and a change for me in terms of bags. Did I mention this bag on YART sale was five bucks???? FIVE DOLLARS for a handmade bag plus $2.50 shipping. That's the price of a bar of soap!!! Today I placed 3 Etsy orders, all from new to me etailers. My first one was at Cozy Moments. They had a scrub on their YART sale. As you know, I ordered a whipped non-foaming scrub from Judy at Cleanse Your Soul last week. I ordered a Foaming Sugar Body Polish in Pink Buttercream Marshmallow Cake. Sounds delicious! The scrubs looks feminine and pretty on their shop page, so I cannot wait to try. My online friend Kate adores Cozy Moments and I would like to thank her for her recommendation! I am already pleased with the customer service. The owners emailed me promptly to thank me for my order and to let me know that it'd be shipping out tomorrow! You all know how much I adore Aunt Nancy's Handmade Soaps on Etsy. I will always buy my daily staple soaps from Nan, as she is simply the best! Plus, I have finally finished my FINAL bar of my own Miss Honey Buns soap. I had been saving that last bar for months. I didn't want to share it with even my own hubby :) If you want some nice bars with honey, check Nan's site, too! I never put palm oil in MHB soap, and neither does Nancy in her bars. Her Prickly Pear Honey bar is great! She has a couple of others with honey that I will try again in the fall. That being said, I was looking for two types of bars: a beer soap and salt bar (without palm oil) and came across two meeting my requirements. I found a salt bar called Balance Blend Salt Bar with Ylang Ylang and Green Tea from Crazy Times Candle & Bath. I love salt bars because they exfoliate so nicely without being "grainy". 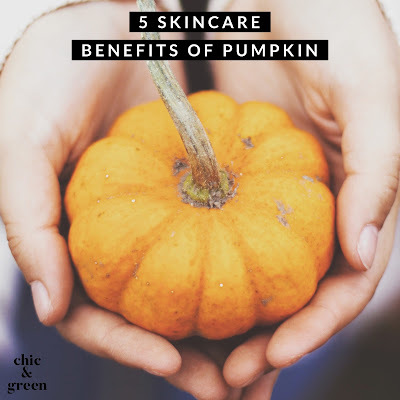 They actually work beautifully at drawing out impurities (don't use on freshly shaved legs) and imparting a glow. I haven't found a decent salt bar without palm oil and just happened upon this shop today! The damage? $4.50 plus shipping. Next stop on my wish list was a beer soap without palm oil. I rinse my hair often with Rochester's own HONEY BROWN beer, a honey lager. I found a palm oil free Coors Light bar from Mema's Cold Process Soap Shop on Etsy for $4. She had some soaps on YART as well, so I also picked up a Chocolate Mint soap free of palm oil for only $3. In other ordering news (AKA Karley has major PMS and spare money in her paypal account), I placed my very first Bathed and Infused order yesterday. it was small. I shouldn't have ordered because I do NOT need anything but wanted to be pampered...the damage was minimal because they have 30% off everything and a flat rate $5 shipping special. I ordered an In Between Cream (paraben-free) in my beloved Victoria's Secret favorite, PEACH HYACINTH, a mist in Peach Hyacinth, and mists in St. Lucia and Gidget. I am eager to try. Once I get these orders, I am officially putting myself on a spending diet. Nick's last day of preschool is tomorrow (he had two days after graduation) and I will be lots busier back to a summer schedule at home, so I won't be online at all during the day (unless both boys nap at the same time which is practically unheard of). I have everything I need. Gosh, I need nothing. I have so many bottles of Eau de Parfum, lotions and other potions. The past two weeks of making products for gifts resulted in 36 body creams, 30 lotions, 30 hair mists, 22 dry oils sprays and more tarts and candles than I would like to think about at this point. Most went towards the gift basket orders for the end of the year, but I do have some great things left...I actually was going to put them on Etsy, but think I might just enjoy what's left for myself! 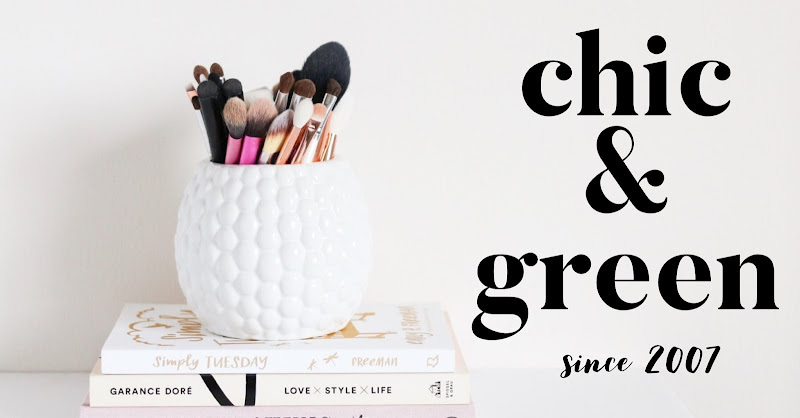 I am going to use everything up that I have and THEN ponder my next orders...I know Crater Lake Company will fall into that category because I just adore Sharonn! I will post about my newest Etsy finds once the arrive. I can't wait to try the goodies and am looking forward to trying everything out!